Before there was Bad Boy, there was Mary. In 1990, after dropping out of Howard University, Sean “Puffy” Combs found himself interning at the hottest record label on the scene. Uptown Records, founded five years earlier by former rapper Andre Harrell, snatched up acts with the most promise and began churning out hits. From Heavy D & The Boyz to Father MC, there was a slightly cookie-cutter yet ultimately successful approach to breaking a new act on Uptown. R&B and hip-hop were still trying to find their footing in a post-Motown world. Hip-hop was still in its infancy and the output was often infantile or a form of caricature. R&B still depended heavily on tried and true radio ready party songs. This wasn’t music that moved you. This was music that made you dance. Puffy wanted to make both. His first chance to make that happen would be with a woman with talent, edge and swag. He moved up from intern to Talent Director and it became his job to find a way to market some of the newer acts that had been signed to the label. Mary Jane Blige was a native of Yonkers, just five miles away from where Puffy grew up in Mt. Vernon. She was signed to the label to sing backups and then to record her debut album. Keep in mind, this is 1991. We are in the middle of the Gulf War. Whitney Houston unites the country by turning “The Star Spangled Banner” into a hit single. The biggest rap acts are family-friendly Heavy D & The Boyz and A Tribe Called Quest. 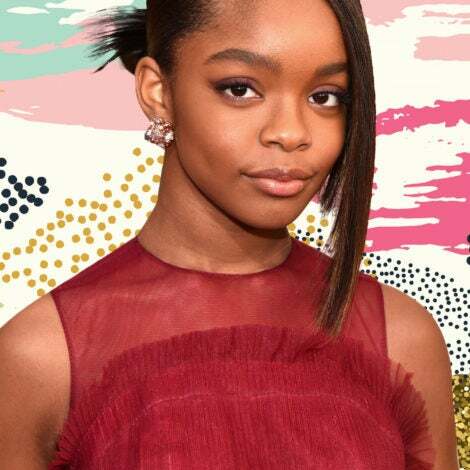 R&B singers are expected to be classy, coiffed and wearing gowns. Think En Vogue and Mariah Carey, who ruled the early ‘90s. Puff and Mary kicked in the door of pop culture before Bad Boy Records could even be formed. Led by his then-girlfriend Misa Hylton, their cultural transformation would become the linchpin to Puff’s new look and sound: Combat boots. Fedoras. Jerseys. Oversized shades. Dark-lined lips. Unpolished honesty. Raw vocals. Mary’s kinetic first single, “You Remind Me,” borrowed heavily from 1987’s Top Billin’ from rap duo Audio 2. In 2017, the styles may have changed but the vibe has not. Name an R&B artist from the past twenty-five years that doesn’t have Mary to thank for creating their style, sound and audience. Exactly. There’s an expression that lightning doesn’t strike the same place twice. After being unceremoniously fired from Uptown, Combs scored a deal with Arista Records and set up shop for his newly formed Bad Boy Records. His first successes were with men: Craig Mack and of course, The Notorious B. I. G.
Since Mary was locked into her contract at Uptown and he hadn’t been able to take her to Bad Boy, Combs could have given up on female vocalists, a notoriously hard (and expensive) act to break. Instead, he decided to have Faith. A biracial woman born to a single mom in Lakeland, Florida, Faith Renee Evans was the very definition of a church girl. Raised in Newark, New Jersey’s Emmanuel Baptist Church, she began soloing as a toddler and by her teens, she was sneaking out for studio time in New York City. As the legend goes, a little-known Faith slipped into a vocal booth while Puff was working on a song. The moment she started singing, he stopped what he was doing, stared at her, and walked out of the room. He came back in with a recording contract. By 1994, Mary had dropped her seminal sophomore album, My Life. Combs’ touch once again was stamped all over the project that would go on to sell three million copies. But by the time the album was released, Combs’ working relationship with Blige was effectively ruined. Thanks to substance abuse, soured romantic relationships and diverging musical tastes, Blige and Combs walked always from each other—as friends and as musical partners. It’s easy to see why, as rumor has it, Blige felt like Faith Evans was intended to replace her as the woman representing the Bad Boy sound, especially since Faith was officially signed to the label and being called The First Lady of Bad Boy. And in addition to having a voice Combs famously said sounded like mesmerizing raindrops, Evans came with a lethal pen, writing every single track on her self-titled debut album. It’s like the entire R&B community stopped short when New York City’s Funkmaster Flex dropped his famous bombs over Faith Evans’ first single You Used To Love Me. Even more than his work with Mary, Combs doubled down on getting Evans’ look straight. She was sent to a tanning salon and she even had plastic surgery to slim down. Evans rocked blonde bobs and pants suits—once again, like the music of the Bad Boy sound, straddling the worlds of classy R&B and rugged hip-hop. In addition to being the most successful act on the label, he made Combs’ life even more complicated by also being in a romantic relationship with rapper Kimberly “Lil Kim” Jones, barely out of her teens. Like Blige, Jones was never signed to Bad Boy. Instead she borrowed Combs’ magic touch for her first single, No Time. In addition to production, Combs appeared in the video and added his now-famous slick talk to the track. In actuality, by this time Combs was getting as much notoriety from the artists he worked with as he gave to them. The runaway success of Jones’ platinum-certified No Time marked a turning point for Combs. He was officially on a hot streak and had broken three monumental female artists. In May of 2016, Combs collected his original crew for a reunion concert that would become a tour. This was a night of incredible star power—Jay-Z, Nas, Usher. Musicians never signed to Bad Boy who respected the sound and came to celebrate it. 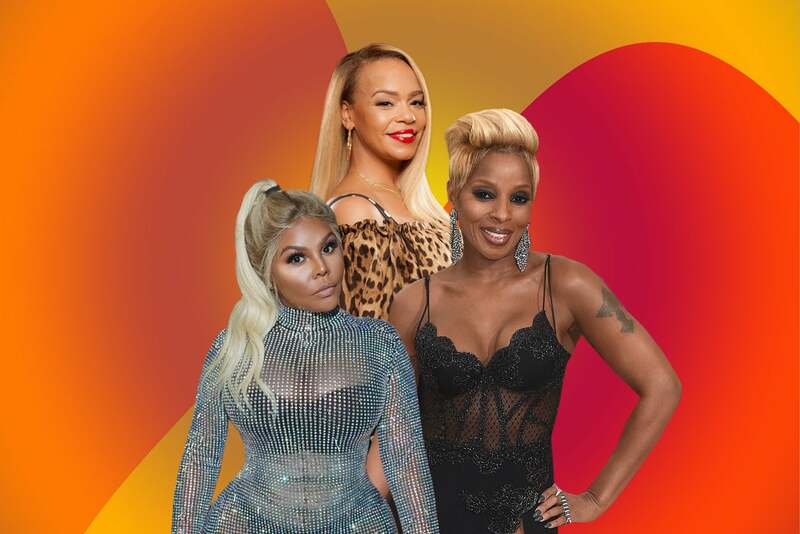 As for direct connections, there were three women who gave their all on that stage that night: Mary, out in full force with her dance moves, Lil Kim, as saucy and sassy as she was on day one, Faith, her pipes flawless and unforgettable. Would Mary, Kim and Faith have been Mary, Kim and Faith without Sean “Diddy” Combs? Would he have been Diddy without them? It’s impossible to say. But ultimately, it doesn’t matter. The music—as always—tells the story. Aliya S. King is the author of two novels and three non-fiction books, including the New York Times best-seller, Keep the Faith, written with Faith Evans.